Knowledge organizations, media publishers, content distributors and online businesses face similar challenges: They produce important content, but often lack efficient processes to manage these valuable assets. You can build and profit from new business models in the information industry. Content producers and managers share a common semantic framework for their work. Taxonomies and knowledge graphs automatically contextualize your content along a stringent logic. 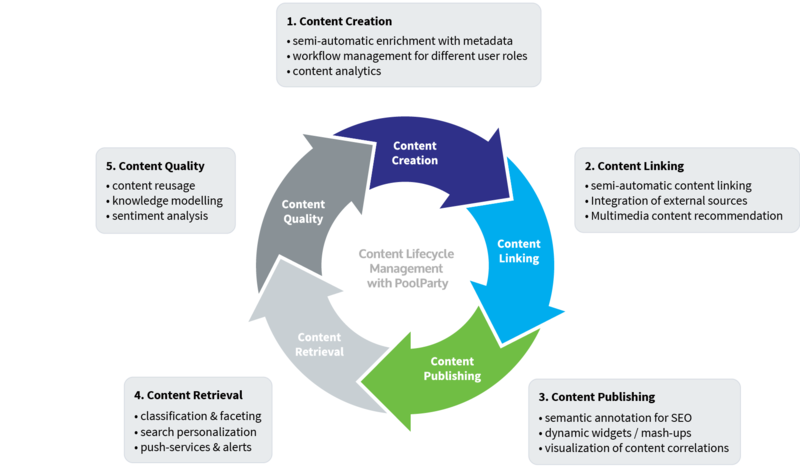 Your content engine learns constantly and becomes even smarter. Through automatic content enrichment and semantic tagging, search for information becomes more precise and cross-functional workflows smoother. Semantic annotation of content is a cornerstone of effective content personalization. Provide your end users with valuable recommendations. Implementing PoolParty is a cost-effective way to tackle content complexities.